I used to dread reviewing headsets not being that much into all the tech, with the mindset for me when buying one simply being would they last me a long time, and would I need to sell one of my kids or a kidney to purchase them. Before doing all of this reviewing stuff I also thought that lower-priced headsets could never match up to those ones you see being sold, with most of us willing to pay that little bit more for what we thought was a longer living headset. While there are headsets still out there hitting the £170.00 to £200.00 RRP, thankfully, those are on a budget (like myself) are still being taken care of with headsets costing £50.00 and under. 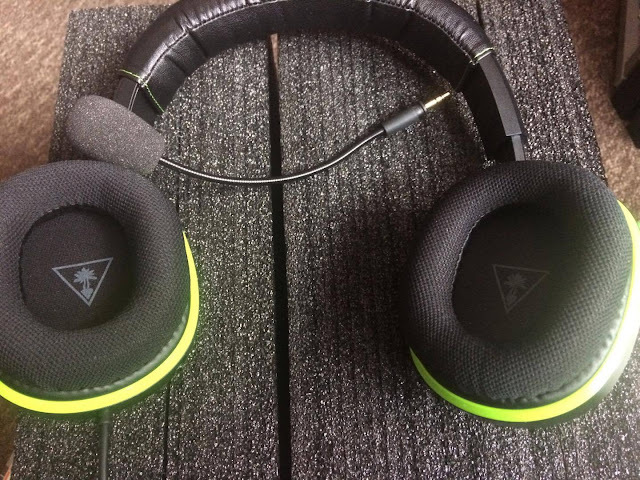 Recently you might have seen my review for a budget headset from Turtle Beach, that headset being the Ear Force Recon 50X Wired Headset (review found here). Well, a few weeks back Turtle Beach finally got back in touch (been on their review list for a good few months) and asked me if I was still interested in reviewing their headsets, so of course, I sent them my address within five seconds, as who would say no? 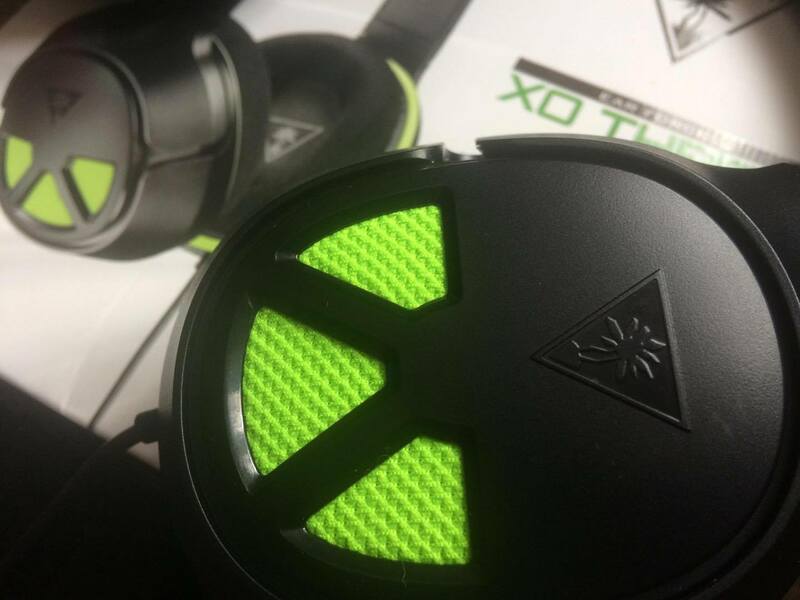 They sent me over the Ear Force XO Three Wired headset, currently selling on Amazon for £49.99 here, or Smyths online store here in the UK for an even lower price currently of £39.99 here. Do check other places though, as these are the first two stores that popped up when doing a quick Google search so there might be an even better price out there. I've judged this headset totally on how much of a step up from my Recon 50X headset it was, but like always I will cover headset build, sound quality (mic included), while also just pointing out where I feel the headset might have a few weak points. If you want a full-on tech review of the headset then I suggest looking elsewhere, as a Father of two on a budget I just want to know are they worth the investment, and will they last me longer than a few months. Headset Quality: Right out of the box I could instantly see where the extra £10.00 in price difference to my Recon headset had gone, with just the overall build of the XO Three's looking that much thicker and sturdy, and looking like it could take a few beatings from two kids who love to drop things on the floor, and also bend the arms out on them like they are sticking the headphones on an elephant. Putting the headset on for the first time I got that tight clamp around the ears (becomes less tight over time) that lets you know that your ears are about to be rocked by some decent quality noise, while also blocking noise from the outside world. What this does is let you enjoy yourself and not worry about getting taken off when the Husband/Wife is shouting at you to take the bin bags out as you mow down fools on your favourite shooter. Of course, once you are done you can totally blame the headset when they start asking why you ignored them. The top of the headset also has a much bigger foam pad that sits on top of your head, with it this time covering the top of your head completely (see images below. The earcups have decent padding to them too, with the initial tightness only being an issue for the first few days, but after that, you can hardly feel you are wearing them. Sound quality: Once again I have used these on my Xbox One, PS4, and laptop for music while typing. Doing a grand job overall, with the headset having a crisp quality sound to them with the beats and bangs of a song or explosions in a game all having a decent bass level to them. This is thanks to the XO Three's having high quality 50mm speakers, easily give much better quality over the 40mm speakers found in my current Recon 50X headset. As for the mic I also once again have no complaints. I used it recently while playing with family on the recent COD: WWII beta and everyone could hear me fine as I gave intel on enemies attacking us. So yeah, no issues with this at all. Downpoints: Once again the only down I can think of on the headset is it being of the wired variety. With a wire that is constantly connected to the headset left earcup, you always run the risk of yanking the headset too hard when dropping the pad or forgetting they are wired when someone knocks your front door or the phone rings, either sending your pad flying or yanking the headset off your head as you put the pad down and stand up to get them. I'm old though, so this issue may just be all me having the memory of a 90-year-old man. If they do break it means the only real fix is getting in touch with TB support, whereas with wires that come away from both the headset and pad you can easily replace from pretty much anywhere. Overall: For £39.99 (on that link above) I cannot fault this headset at all, with the cheapest wireless headset on the TB website coming in at £90.00). 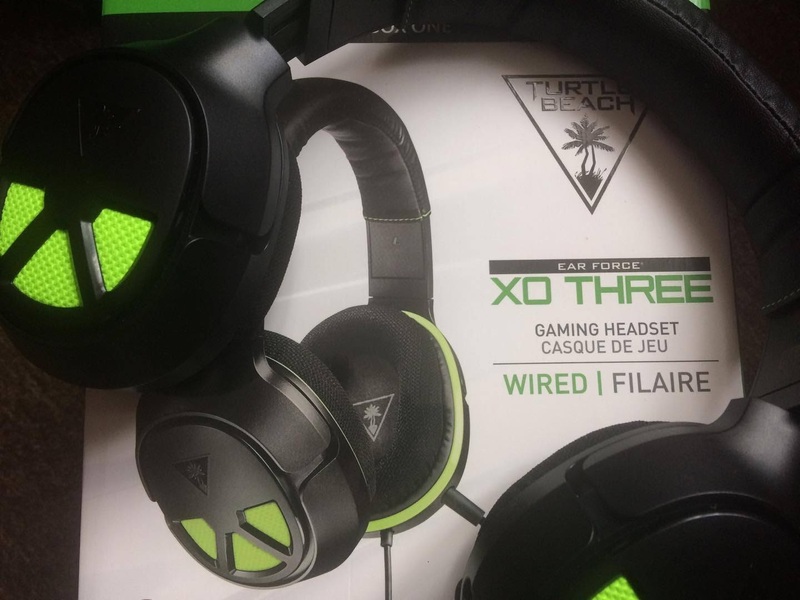 I would say if you can afford wireless then do so, but for just £39.99 it will be a hard task to find a better quality headset than the XO Three wired headset from Turtle Beach.